Please head to Settings > Privacy to configure anonymous data collection settings for your account. Here you can control what data is captured from your end-users. Do note that making changes here will result in reduced functionality of automated segmentation in Audience Creator. 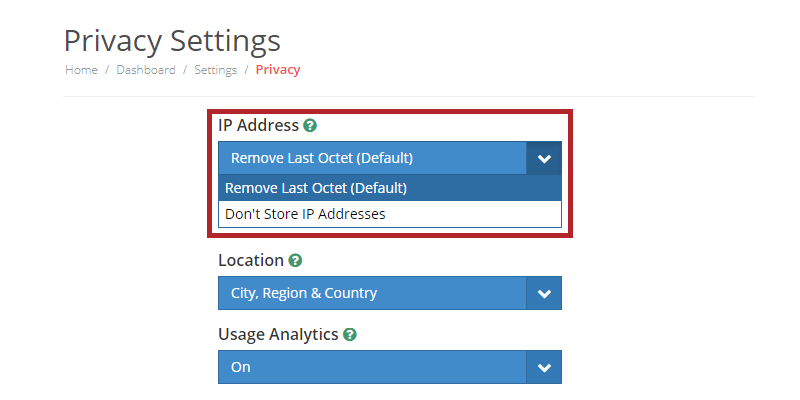 By default, PushAlert does not store the full IP address of your subscribers. The last octet is removed to render them anonymous. 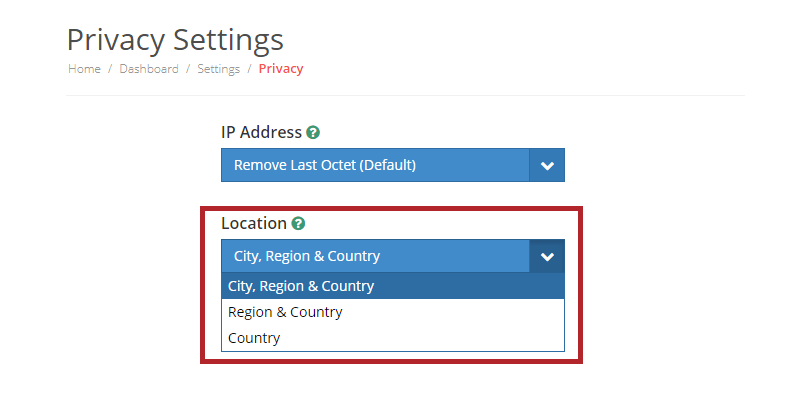 If you still require that these anonymized IP addresses should not be stored, then you can make a change to this setting. You can choose the level of location detail stored for your subscribers. Based on the granularity you choose, segments in Audience Creator will be affected. For eg. you will not have the option to create City level segments if you choose level 2 or level 3. By default, PushAlert does anonymous behavior analysis of subscribers, including the pages/products they visit, movement through the website, time of visit, session details or any custom tags that you have used. This helps with automated segmentation and personalization based on subscriber preferences. This is enabled for Premium and Platinum users. If disabled, custom audience targeting will not be available in Audience Creator.